Should there be laws that impose divorce waiting periods? Should there be laws requiring divorcing couples to attend counseling before they can file for divorce and obey a waiting period? The New York Times hosted a insightful debate on its website between Vicki Larson and Beverly Willett two divorce and family writers with very compelling arguments on the issue. The main thrust of the debate is the ease at which no-fault divorce laws permit families to be split up to easily versus the fact that not all marital relationships are worth saving. 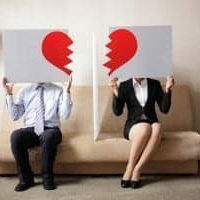 Proponents of the Parental Divorce Reduction Act believe that married couples with minor children who are contemplating divorce should be required to attend marriage education courses and stick to an eight month waiting pale rios before filing for divorce. The main focus here is an effort to reduce the damage done to children when parents seek divorce. Critics of this approach point out the high number of divorces that are the result of emotional or physical abuse, adultery, and the reduced risk of contracting sexually transmitted diseases from a cheating spouse that may result if forced to remain married. Additional information about the reduced numbers of female suicide, families living with domestic violence, and lower rates of spouse on spouse murder since no fault divorce laws were enacted adds substantial weight to this side of the debate. This writer’s opinion is that while divorce is a highly unfortunate event in people’s lives and should be avoided at all costs it makes little sense to force people to remain in volatile relationships as it would substantially increase the risk of domestic violence and risk of needlessly exposing children to family conflict that they could be shielded from had the parents been permitted to seek divorce. The better plan in my humble opinion would be to establish a way to educate married couples before things in the relationship reach a breaking point. One option is already in place in many churches across the US who require church members to undergo premarital classes before they walk down the isle. This makes far more sense to attack the issues that are commonly known to unravel marriages before they ever creep into the picture.